Highest volcano in Asia . Damavand is the most famous mountain in Iran and one of the world's most spectacular stratovolcanoes, a near-perfect cone which rises almost 15000 ft (4500 m) above the capital city of Tehran at a distance of less than 40 miles (65 km). 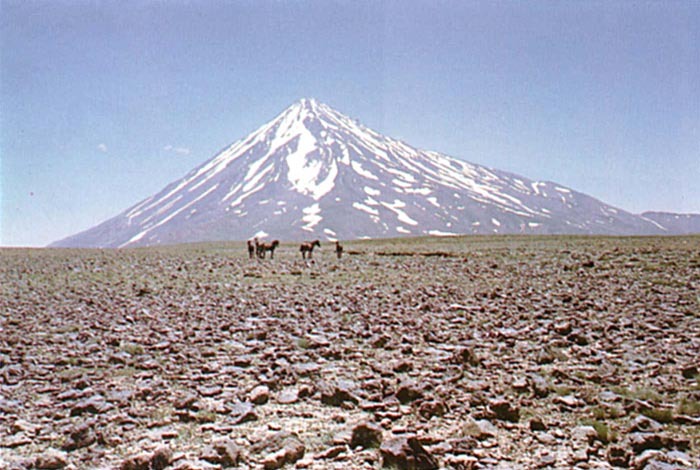 Like Elbrus atop the Caucasus, Damavand towers over the Elburz Mountains, a great range of non-volcanic, folded/uplifted rocks which reaches about 16000 ft (4800 m) in elevation yet lies only a few miles south of the Caspian Sea, an inland salt lake (the world's largest lake) at an elevation of -92 feet (-28 m) relative to sea level. 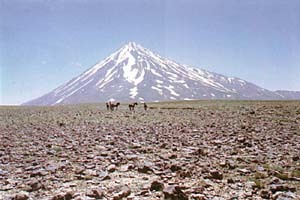 Unlike the volcanoes of northwest Iran, Damavand is quite young, with a well-preserved summit crater containing fumaroles and a small lake in summer. 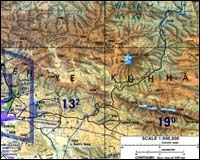 The smooth slopes are cut by prominent barrancos (radial erosion gullies), but are relatively unscarred by glacial erosion. 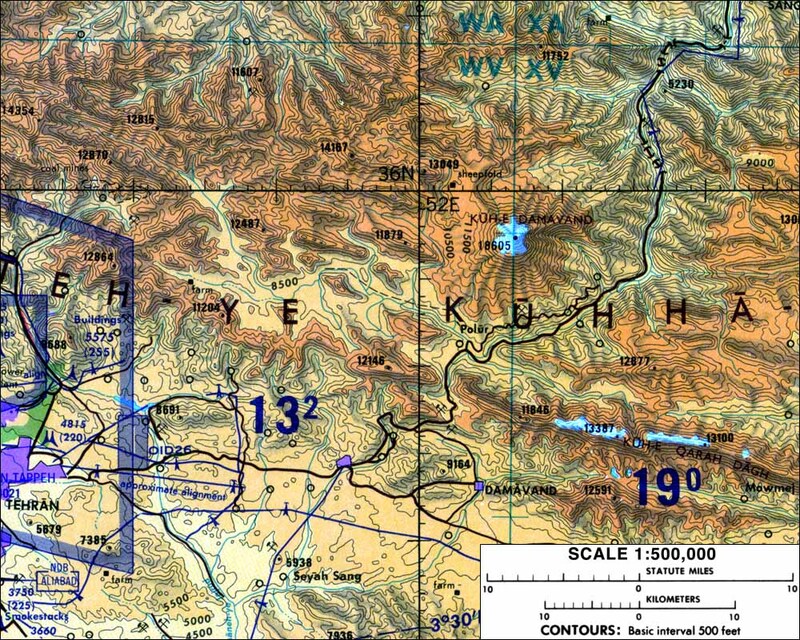 Damavand has two large slope glaciers, one on the northeast side just below the summit and another farther down the north slope. Due to its height and easy accessibility from Tehran, Damavand is a very popular climb and has been rapidly gaining popularity with ski mountaineers over the past several years. With skiable slopes on every aspect and descents of over 10000 vertical feet (3000 m) possible in spring, Damavand is clearly one of the world's finest ski mountaineering objectives.